This bolt on Bull Bar Guard is constructed from 1 3/4" steel tube with a .120 wall thickness and 1/8' steel gussets. 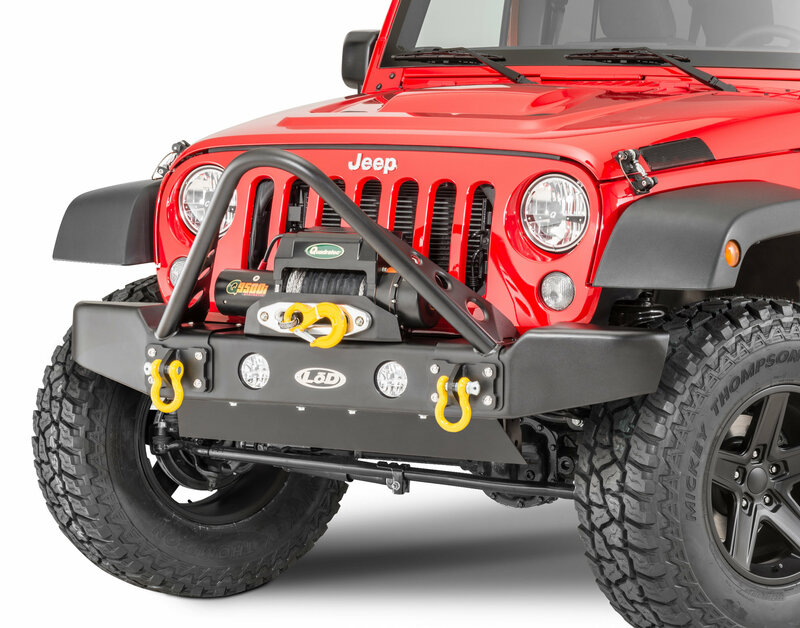 This Stinger Guard is only compatible with the LoD Armor Lite Series Front Bumpers and features the same zinc enriched two step coating process with excellent corrosion resistance. A durable black textured finish is then applied to for years of lasting good looks. Made in USA. Does it come with the drings and fog lites on it? No, this is the Stinger only. The bumper, d-rings, fog lights, and winch are all sold separately.